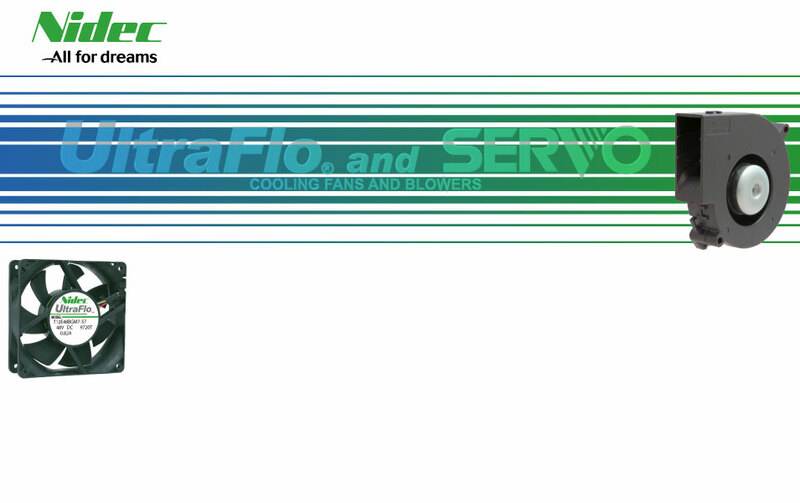 Servo brand cooling fans and blowers are now available as innovative complements of Nidec UltraFlo designs, lending depth and versatility to a product line known for its outstanding performance and reliability. The air flow selector below offers a quick guide to the expanded range of fans and blowers in the integrated Servo and UltraFlo product families. Future Electronics is a franchised distributor of Nidec UltraFlo and Nidec Servo cooling fans and blowers.